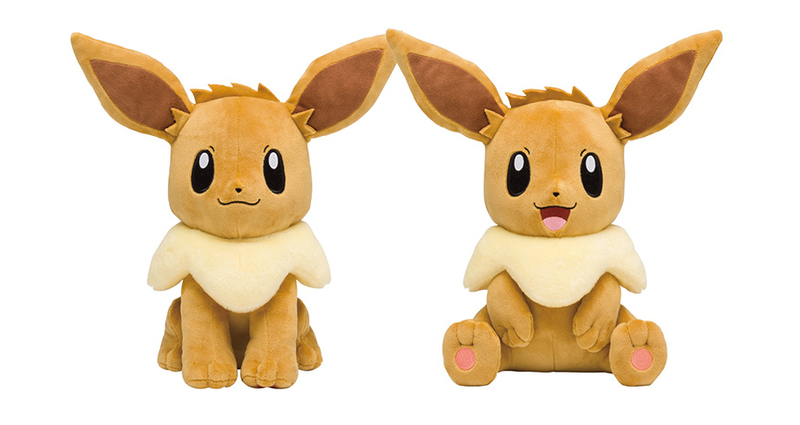 Two new 1:1 (life-size) Eevee plush will go on sale at all Pokemon Centers & Stores in Japan February 1st (Friday). Each plush will cost 3,240 yen including tax. For those curious, life-size Eevee isn’t actually very big. The Pokemon Center is collaborating with the Original Stitch shirt company in a cross-over shirt release that you probably never knew you needed! The promo is aimed at adults who want to reconnect with their childhood. 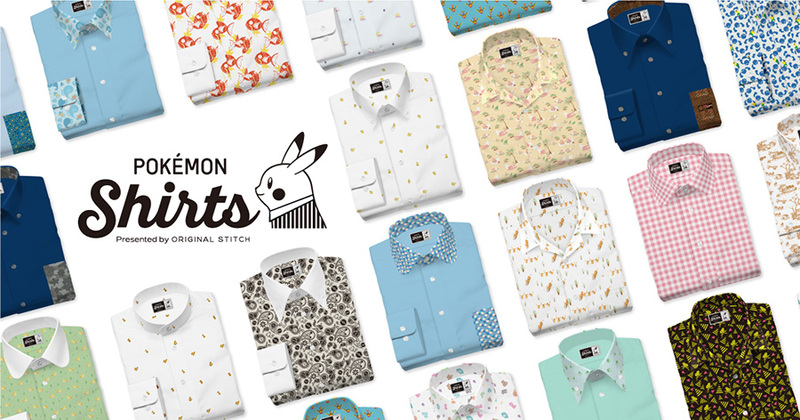 Original Stitch will be offering custom button-up shirts with 151 original patterns representing each of the original 151 Pokemon. Starting January 26th until January 28th, 20 designs will be available for special order on-line only as a sort of teaser for the main release, which will happen end of February. Anyone who orders a shirt during the pre-release in January will receive a free handkerchief with a pattern that matches the shirt. Shirts are available in mens and womens styles, in small, medium, and large. The 20 early releases designs are: Pikachu, Eevee, Squirtle, Bulbasaur, Charmander, Vulpix, Geodude, Slowpoke, Fearow, Ponyta, Magikarp, Ratticate, Slowbro, Pidgeot, Beedrill, Golem, Poliwag, Kakuna, Jigglypuff, and Gyarados. Each shirt will cost 10,800 yen (including tax) + shipping. Also according to the website, they do not accept orders outside of Japan at this time. Moving on to Pokemon TCG releases… monthly card day for February will be February 1st (Friday)! 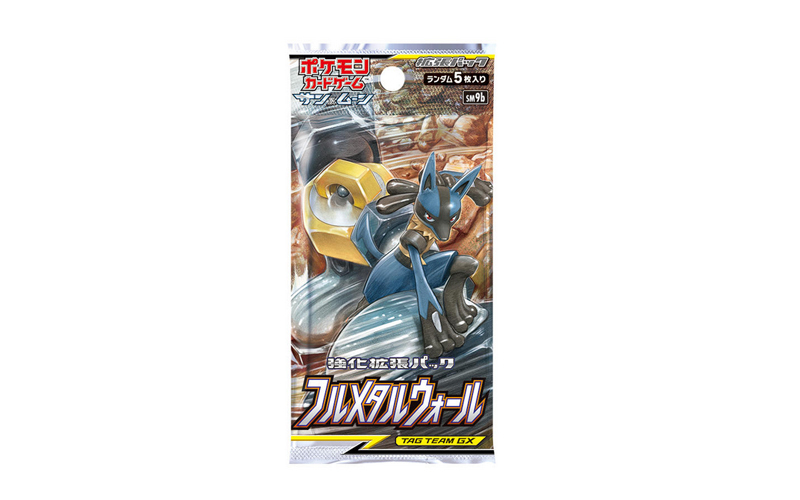 A new booster pack, called “Full Metal Wall” (SM9b) and featuring Lucario and Beefcake Meltan (Melmetal) on the main wrapper art, will be released. Each pack will contain 5 random cards and cost 162 yen. 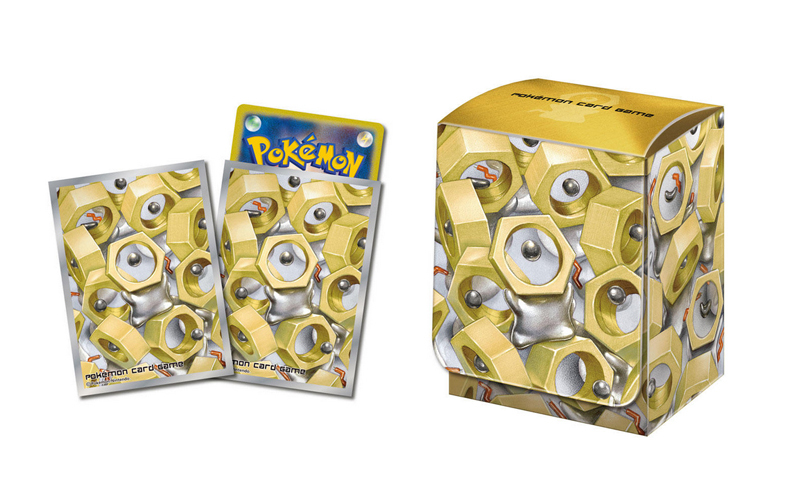 There will also be a new pack of original Pokemon Center card sleeves (777 yen) and a deck case (390 yen), both featuring a cute Meltan design. Last but not least! If you thought your wallets were safe after the Mix Au Lait promotion, you thought wrong. 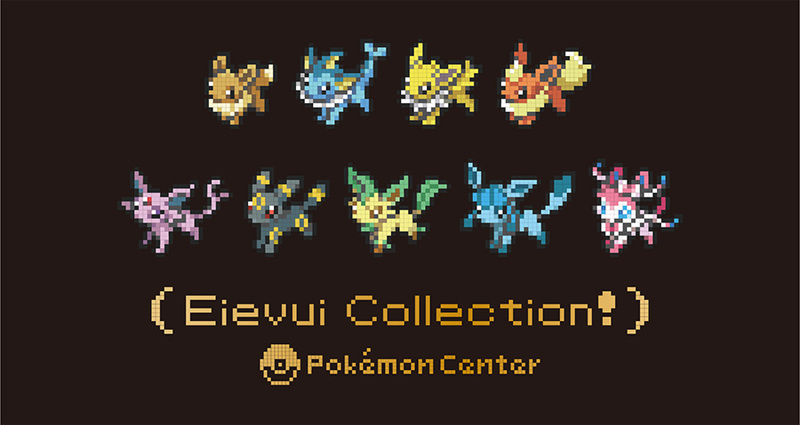 The Pokemon Center original dot sprite series returns with “Eevee Collection” on February 1st (Friday). This release will be full of merchandise featuring everyone’s favorite Eeveelutions in dot sprite form. That wraps up last week’s Pokemon Center announcements!